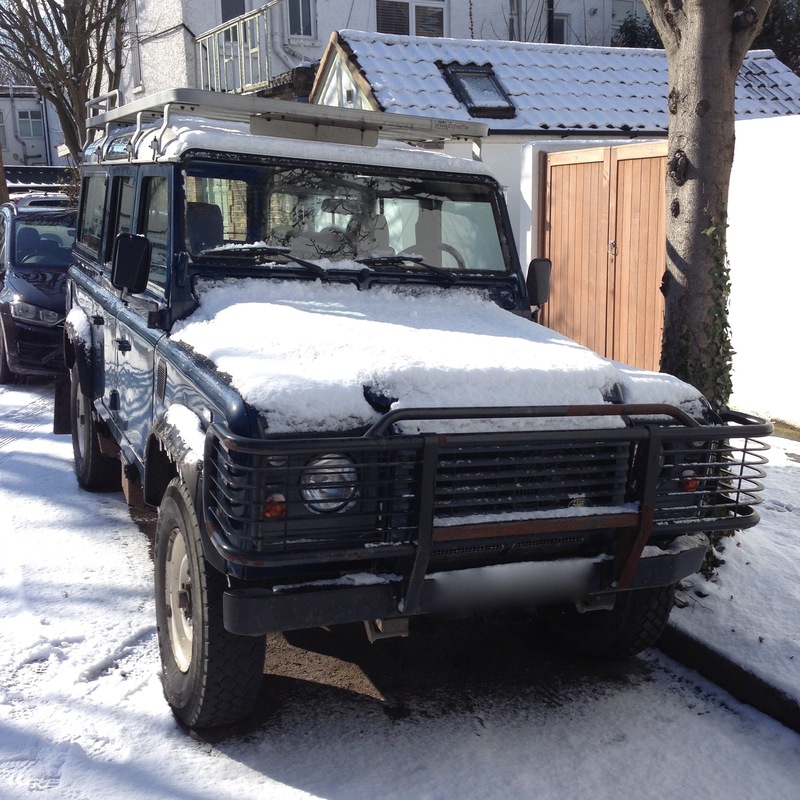 Snow is a rarity in London where I live. When flakes started falling earlier this week it called to an emotion in me which lay somewhat dormant. There are truths which 10yr old me understood with absolute clarity, for example; snow is an opportunity falling from the heavens for us to play. Thirty years on, and the notion of play I largely associate with my children, who are vigorous and highly focussed on pursuing it. Now that I’m a ‘grown up’ do I need to play? It turns out that my heart’s answer to that question is ‘of course you do, it’s one of the things which makes life worth living’! My head on the other hand is mainly preoccupied with an epic to-do list of items and isn’t sure that play should be on the agenda. So, I had to choose; ‘should I stay or should I go’? Often my head wins, but the pull of sunshine on fresh snow upped the stakes considerably. The unused wooden sledge hanging in my office has been waiting for this week for years since I received it as a generous Christmas gift. My heart prompted me again, ‘if not now, then when’? So, I took a long lunch and went on a Glee-Expedition, in the hope that I would find a source of that emotion only obtainable by sliding across a white landscape and whizzing down hills. It was there, in Richmond Park, a couple of hours of snowy play was just what my soul needed. 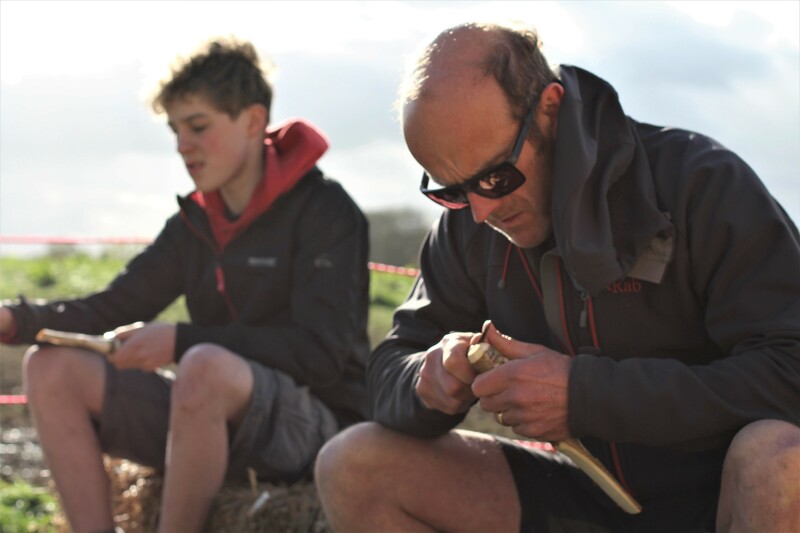 Wild Whittling Workshop at Yestival! I was delighted to attend Yestival for the first time this year – what an extraordinary gathering of positive, adventurous and lovely people! 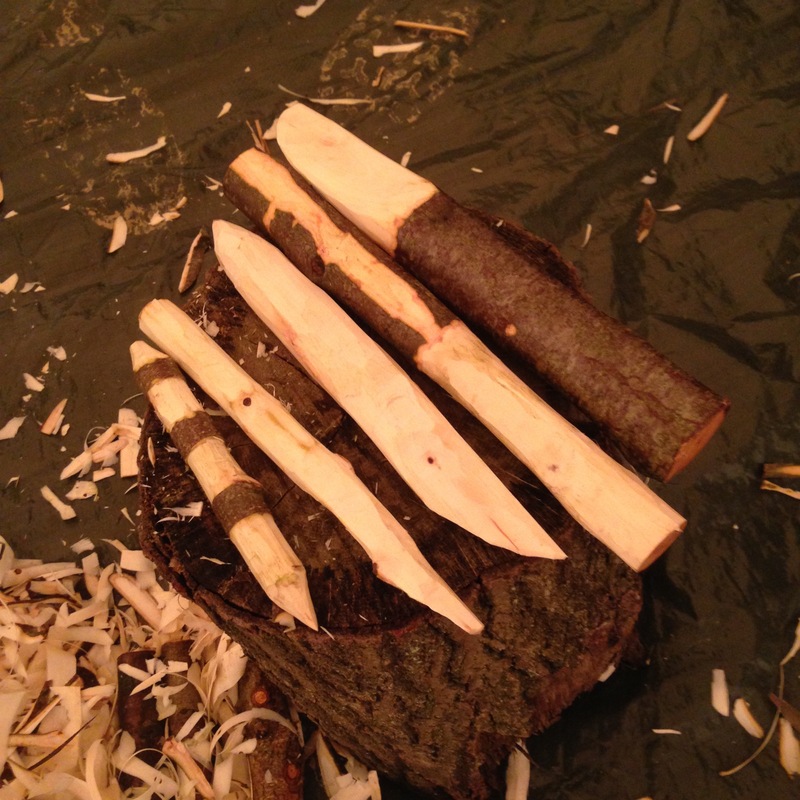 Thanks to all those who came along to the Wild Whittling Workshop and had a go at green wood carving. It was a pleasure to meet you, and wonderful to see your smiling faces as shavings gathered in piles, and new creations emerged from pieces of Sycamore, Silver Birch and Sweet Chestnut. Several people asked me about the carving knives we used and I wanted to share the info again here. 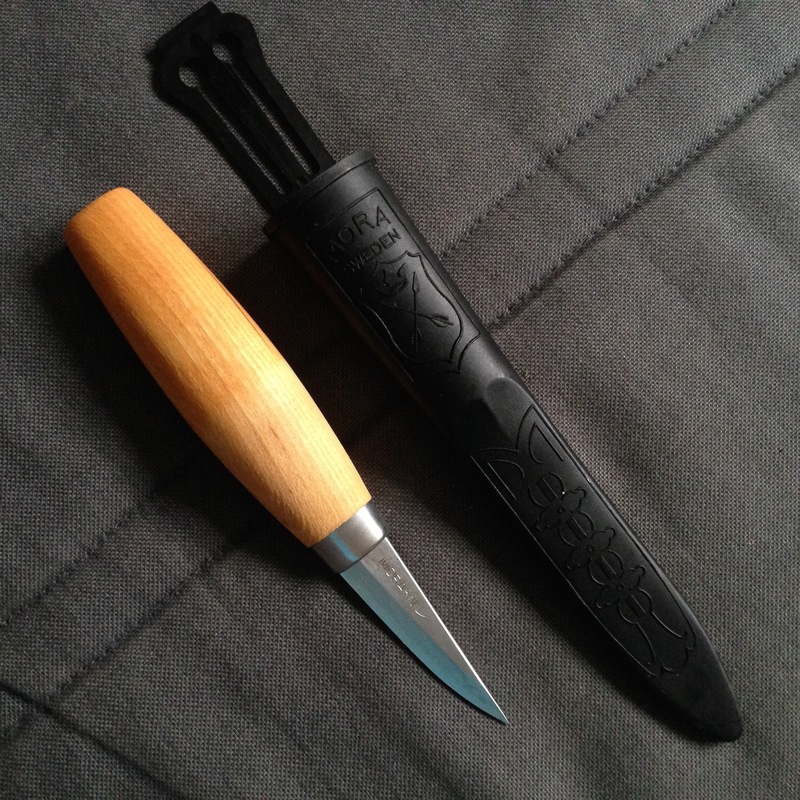 They are Swedish Morakniv “Woodcarving 120” knives and are available in the UK for between £15-20. I like them because they are made from laminated steel which keeps them strong but easy to sharpen, plus I like the feel of the traditional wooden handles. There is also a plastic handled version called the Morakniv “Woodcarving Basic” with a stainless steel blade which retails for about £10-15 in the UK. Both great value tools built with Scandinavian craftsmanship. Please note that you are required to give justifiable cause, in a legal sense, if carrying any fixed blade in a public place. 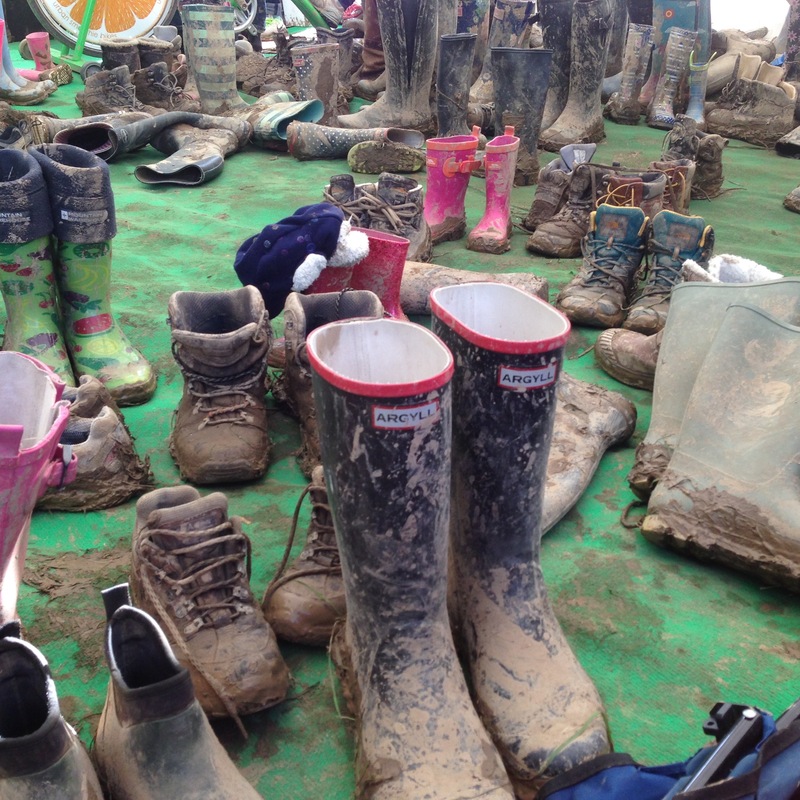 So, do ensure that you use them in places where you have landowners permission. When carrying fixed blades in transit I lock them in the boot of my car, or in a roll of clothing at the bottom of my rucksack so they are beyond use. You can find a link to a summary of the UK law here. I hope very much that you will continue to access the joy of simple carving. As some of you noted it is very relaxing way to unwind and put your energies into a positive and creative craft. It was also fantastic to see some Mums, Dads, Uncles and Elder Cousins encouraging younger folk to safely get to grips with the Moras! 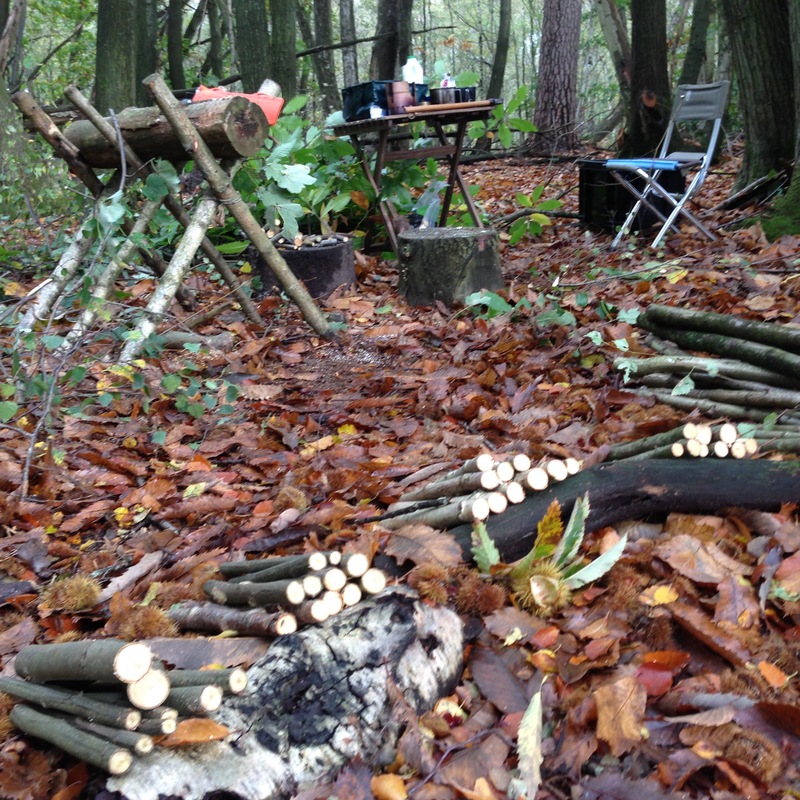 If a spot of wild whittling has whet your appetite for a bigger slice of time in the woods, then feel free to check out my Wild Events. 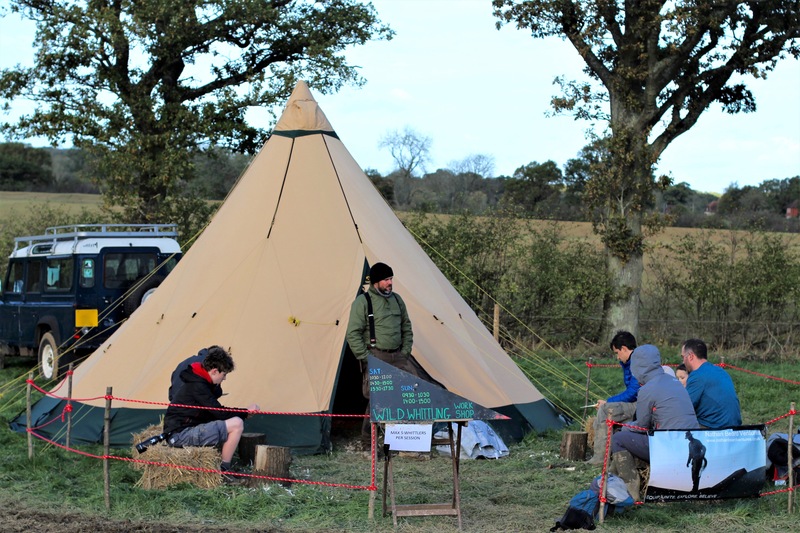 You are welcome to join me for carving, shelter building, fire making, campfire cooking, animal tracking and more at my site just up the road from Yestival in W. Sussex. 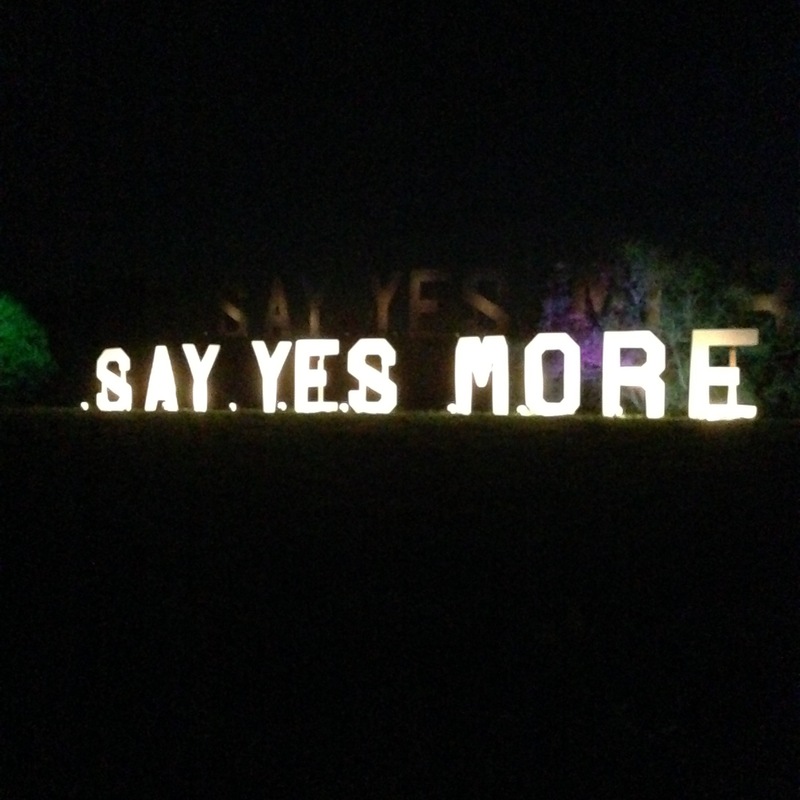 Meantime here’s to safe whittling and saying Yes more! 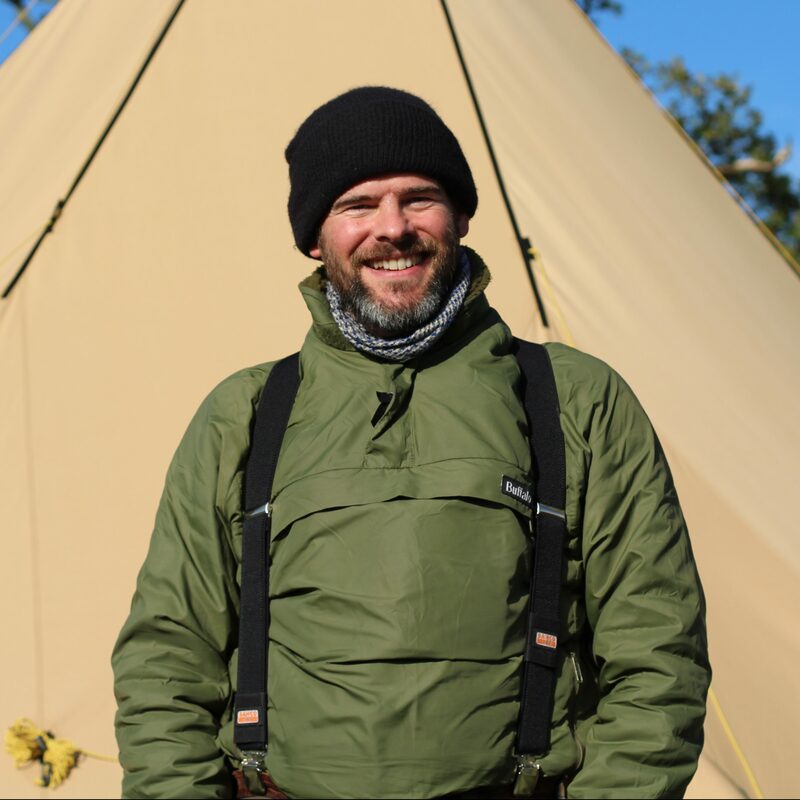 What is a Bushcraft Dad? Well, quite simply I enjoy bushcraft, I love my kids, and I figured those two things could go together! I firmly believe that the great outdoors is an inexhaustible playground of interesting, adventurous, beautiful, hilarious and life enriching possibilities. On that basis I try and spend as much time as possible doing fun stuff outside with my kids. Principally it requires only personal inclination and a reliable way to get out of the house (like a front door). I have enjoyed playing outside since I was a small boy, and it is wonderful to have imaginative energetic playmates in the shape of my own kids to adventure with locally. Sometimes we make it as far as the back garden and maybe construct a miniature bosuns chair between raised beds using pulleys and a bit of paracord, or a zip-line for Teddy to hurtle across the back yard. We have learned about splitting firewood, and stacking it. Transport logistics between chopping block and woodpile taken care of using a yellow plastic dumper truck. We recently experimented with a Swedish Fire Torch, which kind of worked, but demonstrated that Bushcraft Dad has plenty left to learn! Often we take to the local common or to Richmond Park, wonderful outdoor spaces on our doorstep with acres of woodland and open space to observe nature and scamper around endless obstacles. Climbing trees or making a temporary rope swing is great fun, and gives an opportunity to help the kids analyse risk and consider safety in a very logical way. As a first aider I always carry a small kit, but rarely have need to use it. The kids are increasingly adept at identifying what is a fun activity and what is too risky, and I am always on hand to clarify! A tarp and a groundsheet mean that we are prepared for snacking in all weather, and can often be found in some snug hollow enjoying hot chocolate and something to munch. 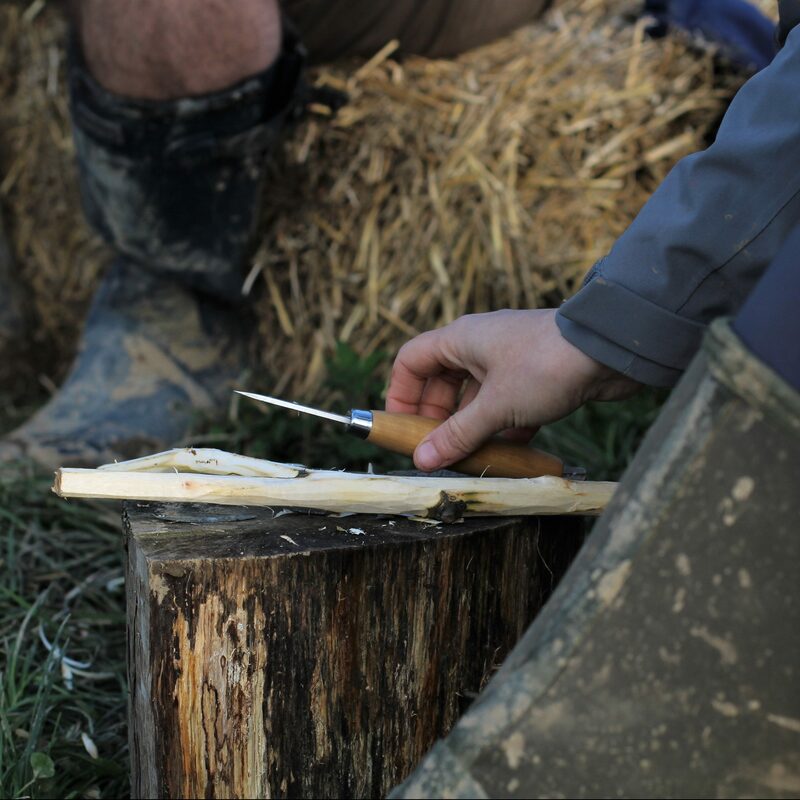 Making things from natural materials is a favourite pass time, whether it is twisting dry grass into rope, whittling walking sticks, or making mini-shelters from twigs and leaves, there is always something lying around with potential. 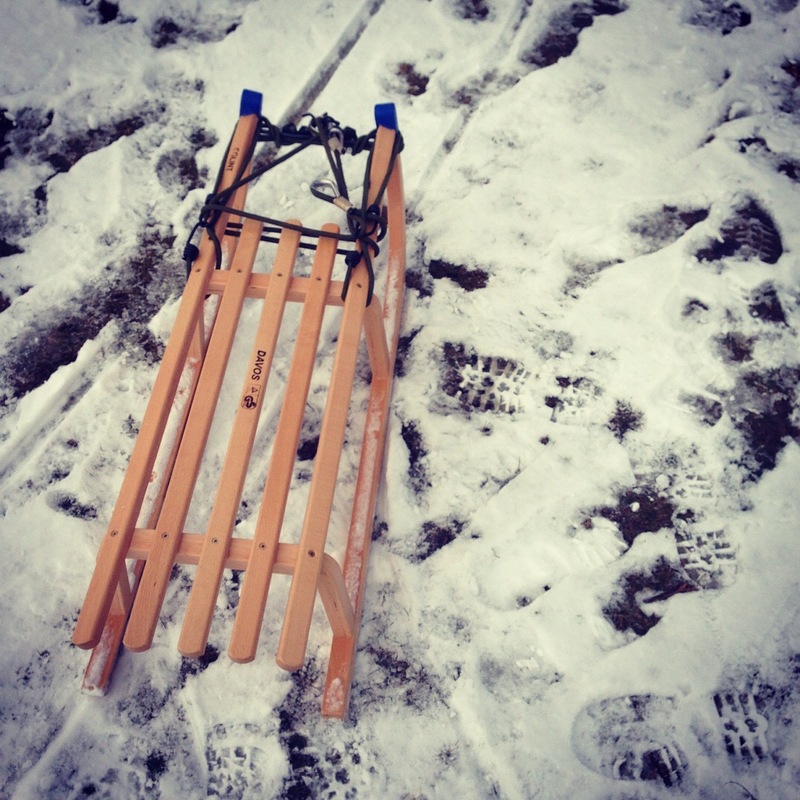 Treasure hunts are a cherished way we liven up a stroll, and novel hiding places keep the kids guessing. In the absence of huskies I have also discovered that harnessing the family to the front of a home made Jeep go-kart and taking it for a spin around the park with alternating junior drivers is a comedy way of exercising the young uns’, and does generate some memorable expressions amongst passers-by! 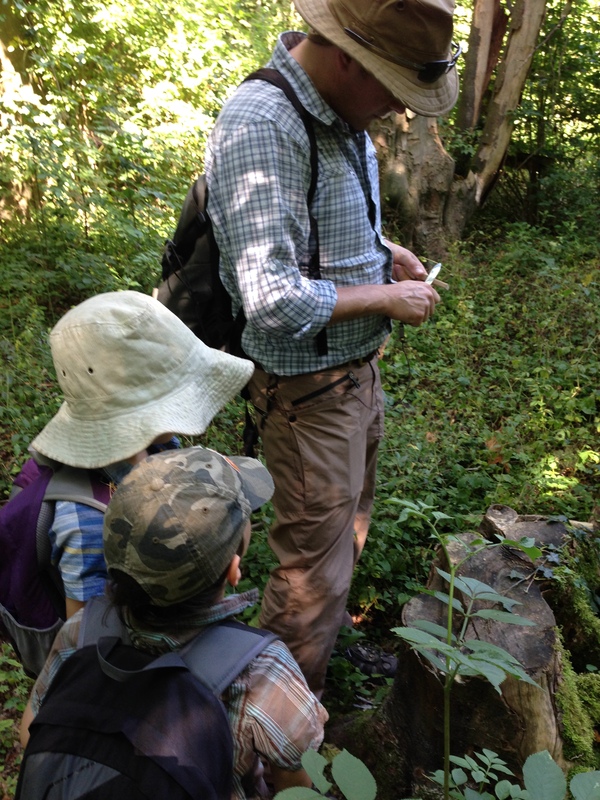 Admittedly many of these activities are not strictly ‘bushcraft’, but are undertaken with an inclination toward engaging with the natural environment, hence wilderness skills are very helpful in enabling us to do more outdoors. It’s important to know what you can and can’t legally do in public spaces, but there is plenty of scope for fun within the law. 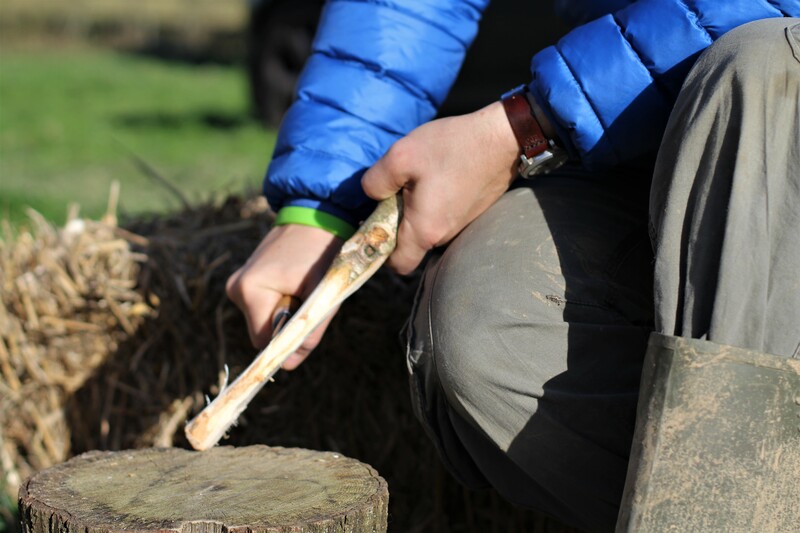 For more adventurous activities involving blades, fire, and wild cooking, I run Wild Ventures on a private estate an hour away in Sussex (click here if you’d like to know more). It is not hard to find fascination in the elemental power, beauty and value of fire, especially with regard to its effect on the human race. 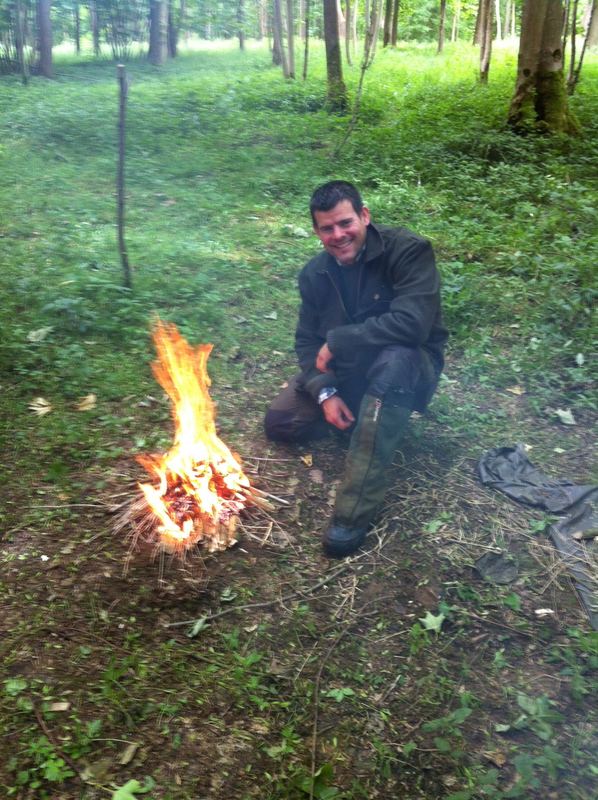 So I was delighted to head once again for the woods of Oxfordshire and meet up with fellow trainee fire-starters on the Woodland-Ways ‘Intermediate Fire Weekend’. Ability to kindle fire in the wilderness is a primary skill for the outdoorsman. It has been said that ‘the more pressing the need, the more challenging the task’, and this was evident as we got into the detail of what fire is, how to ignite and how to sustain it. The level of dedication to experimentation and research into fire making by Jason Ingamells and his team should not be underestimated, and was a great platform for exploring exactly what is happening during the process of combustion. Not only this but an examination of the history and archaeological record of fire making gave a rich context to our own attempts at creating flames. It was great fun to try out a host of techniques from flint and steel with Amadou (prepared tinder fungus Fomes fomentarius), regular matches and lighters, modern pyrophoric steels with myriad tinders both natural and man made, through to exothermic chemical reactions created by mixing potassium permanganate with sugar, and also with glycol antifreeze! 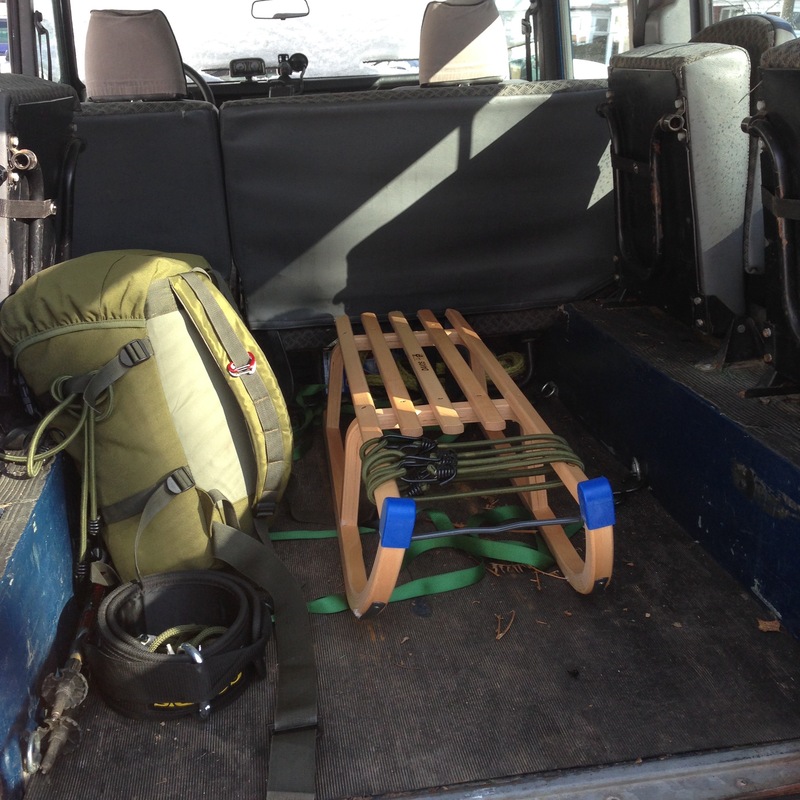 We also learned about how to use various parts of a 4wd vehicle to yield fire materials and ignition sources. After learning about where to site fires for different purposes, and various fire-lays, the instructors issued a challenge, asking students to return to camp within two hours having collected natural materials to light a small fire using sparks. Foraging suitable materials, even when using a modern steel (which sheds high grade sparks of 2,980oC) has its challenges for the learner, and springtime is a part of the year less abundant in tinders. However, all participants successfully gathered, prepared and ignited fires which were sustained for a few minutes, and gave a great feeling of success! I chose to gather the few remaining dead grasses I could find (as stage one kindling) and spread them between my jumper and shirt to dry them out prior to ignition. With a little catkin down as tinder (dried in my pocket) added to the buffed grass, I was relieved to see my sparks take effect, and kindle the other materials into flame. My confidence in creating effective wilderness campfires safely is certainly higher, and I look forward to drilling further into the realm of fire making at the advanced course where we will learn about friction fire techniques! I have long admired the work and reputation of Medair, an international agency relieving human suffering in some of the world’s most remote and devastated places. I was glad to be contacted a few weeks ago and asked to undertake a technical consultancy for them in the world’s youngest country, S. Sudan. 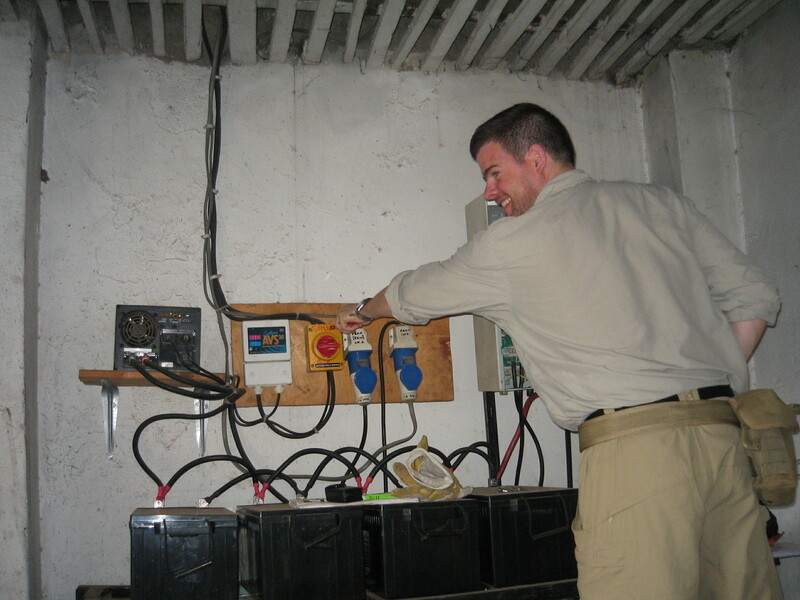 Basic services we take for granted in the UK (electricity, water and sewerage) can be absent or inconsistent in developing countries, and a significant challenge for relief agencies is maintaining electrical infrastructure to safe and effective standards. For this reason I was contracted to assess and make recommendations for improvements to the electrical supply and distribution at the Medair Office and Accommodation compound in Juba. Great to be back in the field, and in a location I am familiar with from Tearfund days. I felt thoroughly welcomed by the Medair team and was able to dive right into the fascinating conundrum presented by their compound electrics. After a security briefing, general briefing and site tour I began lifting the cover on various parts of the system to understand how mains power, generator power, solar power and inverted battery power are supposed to be distributed to deliver 24/7 supply across the site. 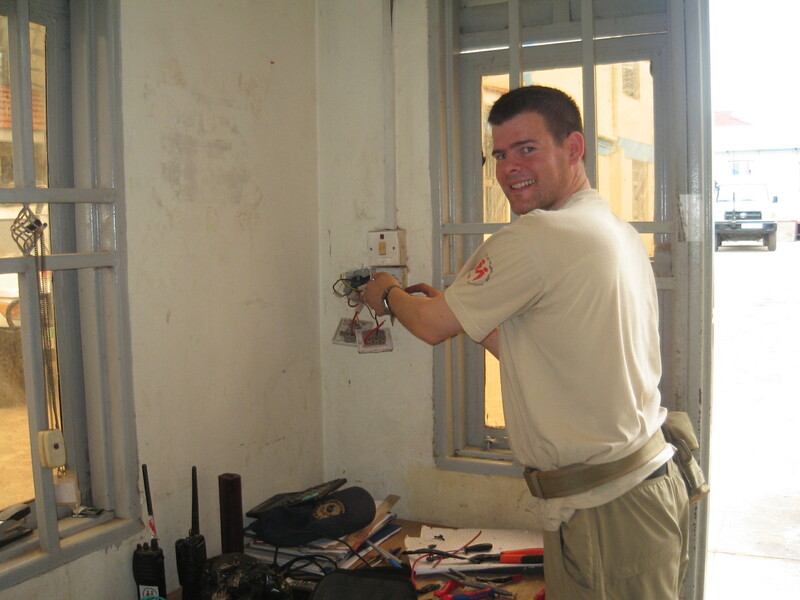 It was encouraging to find that several key aspects of the system were of high quality and well installed, due to the efforts of a previous Medair logistician and experienced electrician. As ever the biggest challenge is often the local wiring, which is a credit to the ingenuity of those who put it in, who always find a way to get electricity to come out at the other end. The difficulty is the scenic route that electricity takes, often down very thin poor quality wires of indiscriminate colour coding, and not infrequently electrifying parts of the circuit which should never be live. The tendency of poor wiring to act like a fuse in the event of a surge, and melt together with other wires is the source of many ills in NGO compounds. Working with electricity requires constant vigilance about what is live to avoid a shocking time. Mercifully careful planning, working at odd hours to avoid disrupting staff, and locking the generator shed ensured I could poke around without any hair raising experiences. 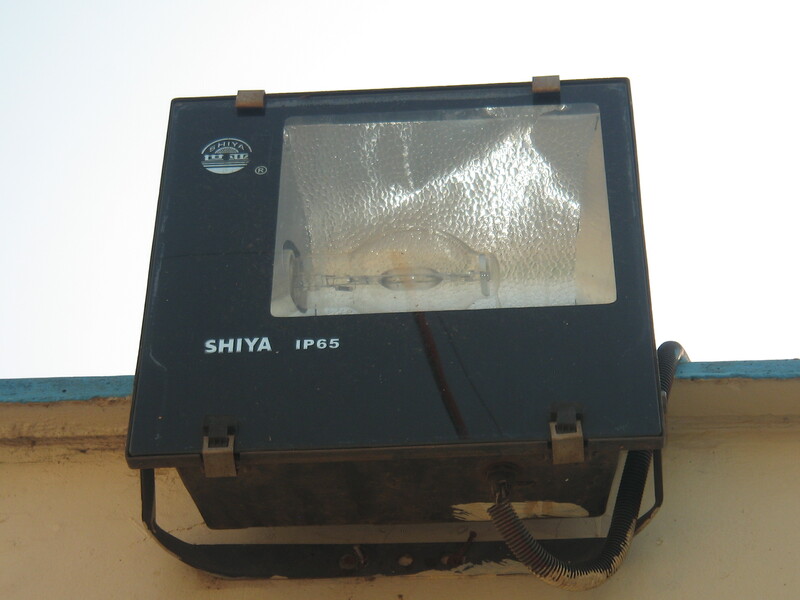 More novel hazards included live snake eggs found inside a double wall socket, torrential rain and broken roofing tiles, and the fact that repairing a 500W halogen security light is a superb way to meet all the insect life from a half mile radius! After 12 days assessing, advising, speaking with staff and suppliers, and re-wiring some aspects of the system, I felt confident to complete my recommendations and action plan. Happily it is now possible to find contractors in Juba able to repair and upgrade electrical systems to satisfactory standards, and who are able to accommodate the requirements of international organisations. I enjoyed my time with Medair immensely and wish the team every success as they continue to meet the needs of people exposed to extraordinary poverty. So, how do you unwind after a hard day’s drive across Europe? 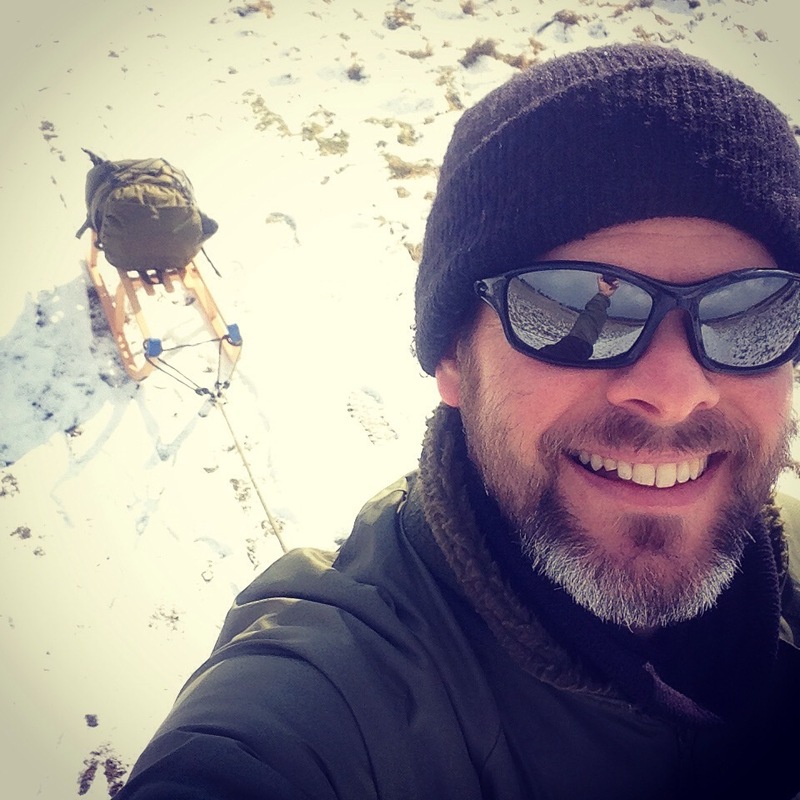 Nathan Beard Ventures – Taking Expedition Technical Support to a new level! This short film was put together by Joby Newsom, The Great Game expedition film editor. You can follow him on twitter @Jnewson.